A major prepared fruit packager required variable date printing on the top label of their top and bottom labeled bowls and trays of assorted melons, pineapples and grapes. 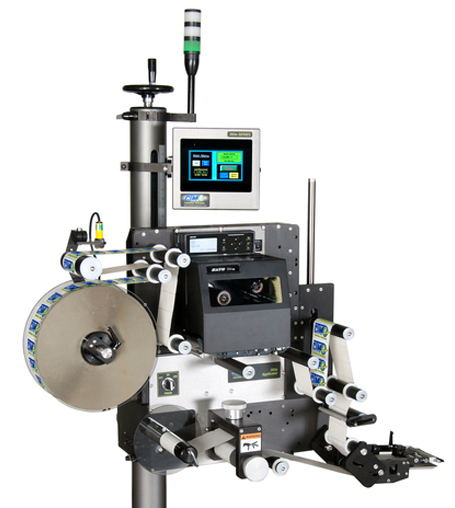 Due to the product shape and demanding specifications required of the film label application, direct print and apply for this wipe-on process was dismissed in favor of a loose loop approach, but how to combine ease of access, minimal support structure and yet provide for versatility of labeler movement without secondary adjustments to the label web and a stand-alone printer. 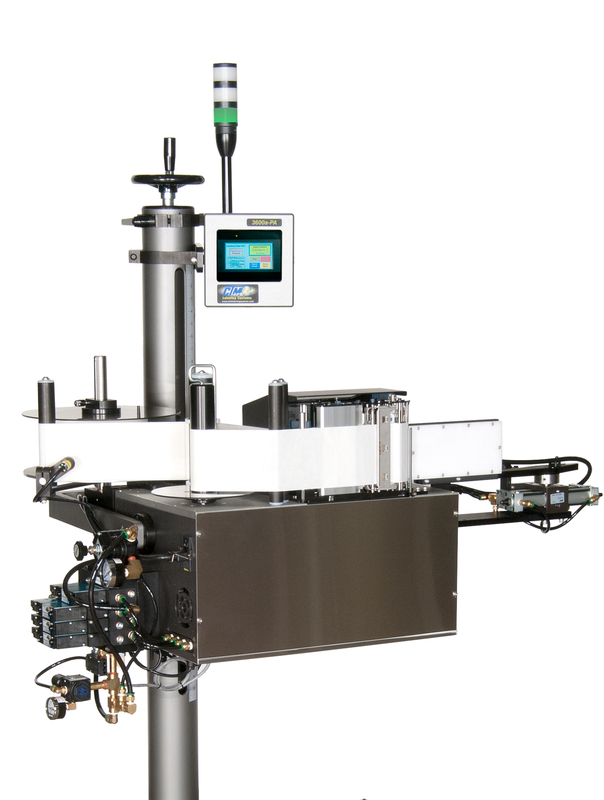 The Model 360 Merge style applicator was provided with an attached structure that mounted a standard Sato print engine with a loose loop web path and control that allowed the entire applicator to be mounted on a single u-arm. 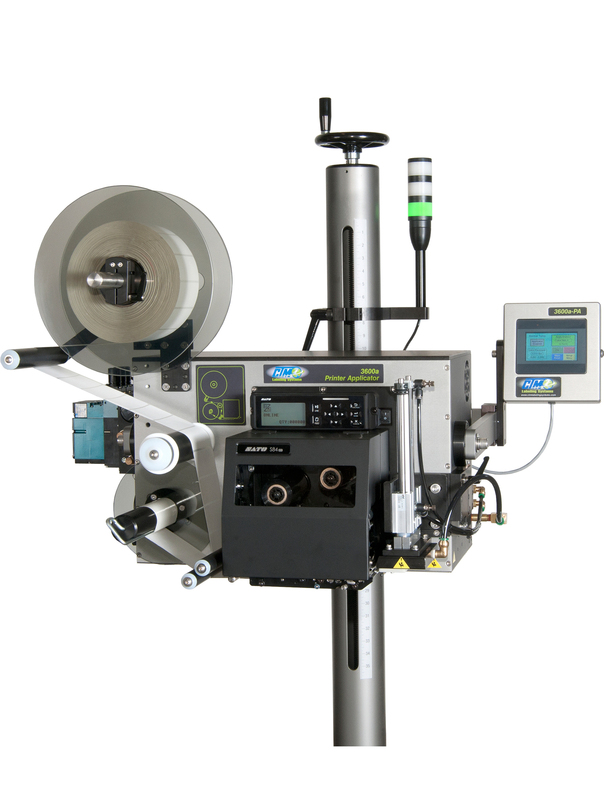 This provided a number of benefits including easy web path threading, same side access to the 360 labeler and printer, multi-axis labeler position and attitude adjustment within a common unit while retaining the adjustable dispense speed, velocity compensation and superior film label attachment control of the 360 labeler. 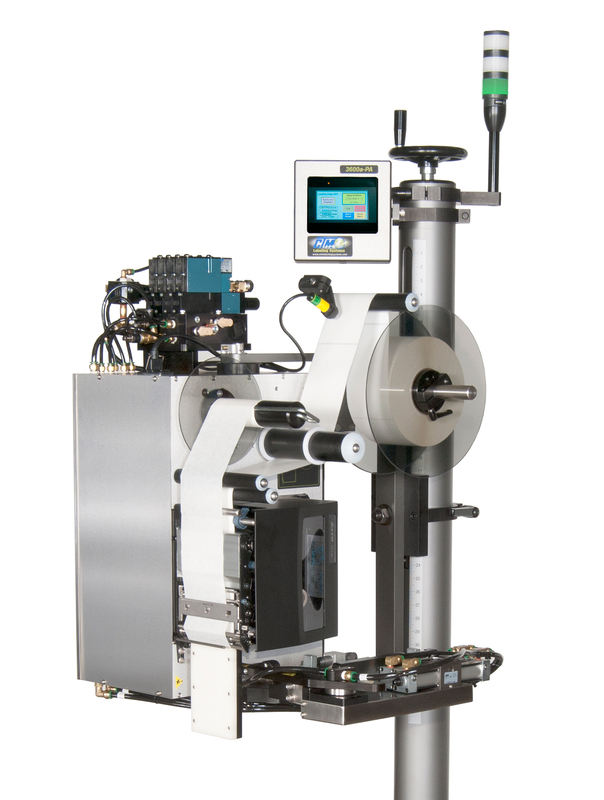 The unique design of the 360 labeler easily provides the “integrated loose loop” as an important adjunct to the merge, tamp blow and air blow configurations, and in either right or left hand versions for prime or secondary labeling requirements, the benefits are exceptional. 108-132 Volts AC, 50/60 Hertz, Single Phase, 7 Amps. Pneumatics, if needed: Clean, dry air, 90 psi., approx. 3 – 5 cfm. 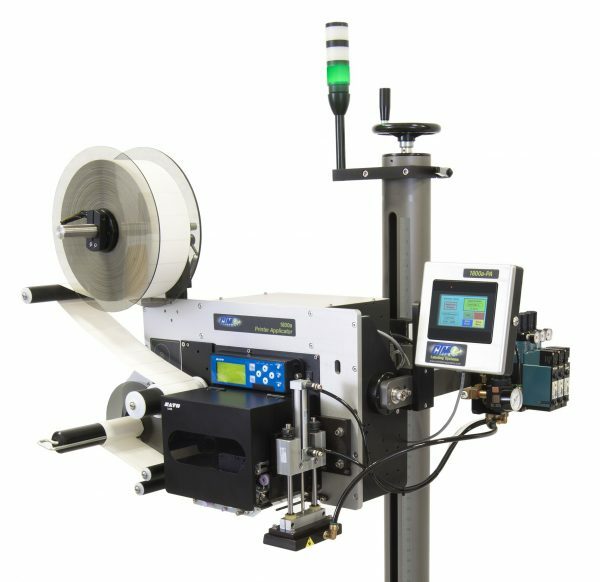 Would you like to learn more about the 360a Integrated Loose Loop Print and Apply Label Applicator? Our free guide will explain the significance and functionality of each component, so that your team can proceed forward in the purchasing process with accurate and in-depth information. 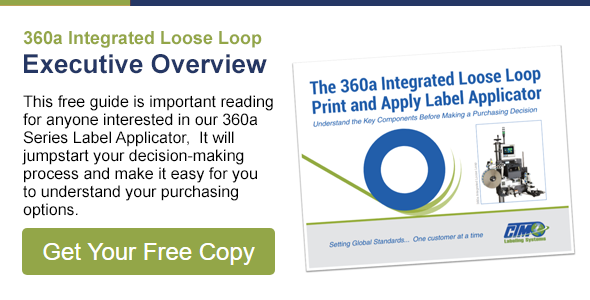 Download this guide today in order to educate yourself and your team about the Loose Loop’s properties.